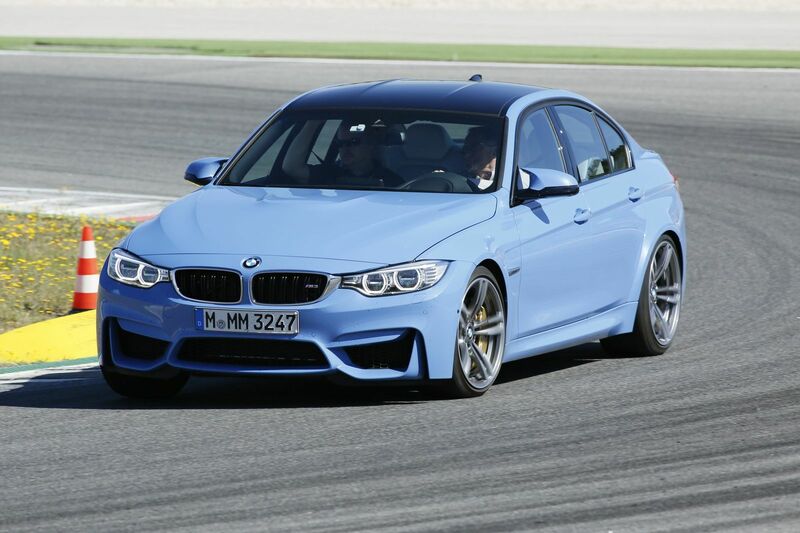 The M3 (which BMW does not call Smurf Blue) handles just about as well as the two-door M4. Okay, I have finally driven the car and drunk the Kool-Aid: It is hard to imagine a better M3—or M4, since they’re basically the same car with a different door count. Of course, the Interwebs have been awash with self-appointed experts bemoaning the doom and decay of the once-mighty M brand with this car, or these cars. Shall we skip the blasphemy of electric steering for now and cut to the chase? (And what a glorious chase it will be!) How about we tear up a few lovely, twisty roads in the middle of Portugal, roads that occasionally serve as WRC rally stages? Oh my gosh and golly, this car delivers—at this point, I am riding shotgun in the F82 M4 while European Car’s Greg Emmerson flat hammers this puppy. We are looking for understeer. We are looking for oversteer. But neither is readily available, because when M GmbH put this evil car together, they got together with Michelin and shod it in special Pilot Super Sports—consider different rubber compounds in the same tire—and found room for 255/35-19s. Oh, you say, that’s not so wide for an M3, is it? Well, the 255s are on the front—in back are 275/35-19s. And the grip level at all for corners is satisfactorily astounding, or astoundingly satisfactory. You really have to drive this car too hard into a hairpin corner under late braking, and then get on the throttle, to feel the “push” of classic understeer, which quickly converts to oversteer if you keep the wheel cranked and hit the rear tires with all 425 of those turbocharged ponies. Catch the slight kick-out—in M Driver Mode, not full nanny cancelation; we want to stay on the black part and out of the canyons—and put your foot down, and the M4 gleefully rips on down the road. Well, it just may be their best track rat ever. (What, you thought we were going to stay on those beautiful roads? Not when we had Autódromo Internacional do Algarve at our disposal!) 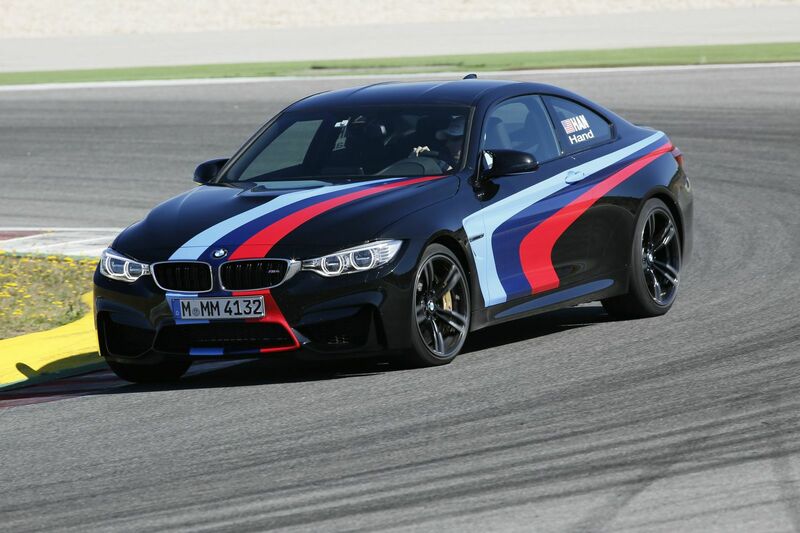 Better known as Portimao Circuit—Portimao is the nearest town—this 2.9-mile track is a serious hoot. It is characterized by elevation changes and a few connecting turns that resemble those stage roads out in the countryside. It also has several significant blind crests: be in the right position or else! My favorite may be the last crest before the front straight; not only are you driving blind, but you’re acceleration through a downhill curve as you reach the crest. Ahhh, you’ve done it right, and your arc is true; now just hang on and trust the tires as you fly around the curve like a BB in a salad bowl. Of course, we journalists have to put a wee damper on this magnificent launch onto the front straight, because halfway through the turn, we are herded into Pit Lane at the end of each lap. But DTM drivers Joey Hand and Timo Glock, who are on hand to give demonstration rides to show what the newest Ms are really all about, disdain the cones and stay flat-out onto the long straight. And believe me, they have cancelled every lingering vestige of the automotive nanny state; when these guys want to play Drifter Boy, they just throw the car slaunchwise into a turn and stand on it, Jackson, generating clouds of glorious politicalyl incorrect blue smoke from the rear tires. We have already covered the technical details of this chassis, perhaps the best ever offered on any BMW—if your definition of best has anything to do with performance and handling. The inevitable comparison will be between the E92 M3, with its glorious S65 V8, and the newest M engine, the twin-turbo S55 three-liter six. I admit a particular love for the naturally aspirated S65, the culmination of everything BMW has learned about unblown engines. But the S55 is better. It’s better not because of the extra horsepower, but because of the ungodly torque band. The V8 makes its power at high rpm; it takes a skilled driver to wring the best performance out of the E92 on a track, keeping the revs at a level that will deliver useful torque. The S55 delivers torque immediately, and for as long as you want; that’s the advantage of forced induction. And it gets about 25% better fuel economy. In today’s world, that’s a good thing. Well, yes, but what about the sound? Admittedly, we Americans love the ferocious roar of a good V8. And the Interwebs, as I say, are full of nattering wannabes who are quick to complain about the muted, anemic sound of the new engine—without ever hearing the damn thing. I even found a forum where they’re whining about the sound of the car because they heard it in a video game. Well, I have heard it snarling off the canyon walls of central Portugal, and I have heard it bouncing off the concrete walls of Portimao Circuit, and if I could have gotten my mitts on the six-speed manual instead of the seven-speed DCT cars, I would have heard it more often, putting in the clutch to rap my mufflers bRAPPa! BRAPPa BRAPPa! Yes, there’s an interesting pile of electronics to transmute the sound into something you can hear inside the car, too, but from outside the car, it’s just a glorious noise that vibrates your innards and tightens your sphincters. When you find yourself rolling down all the windows as you come to a viaduct so you can hit the paddle and listen to the scream as the car matches revs on the downshift, you know that the wizards at M GmbH have done righteous work. 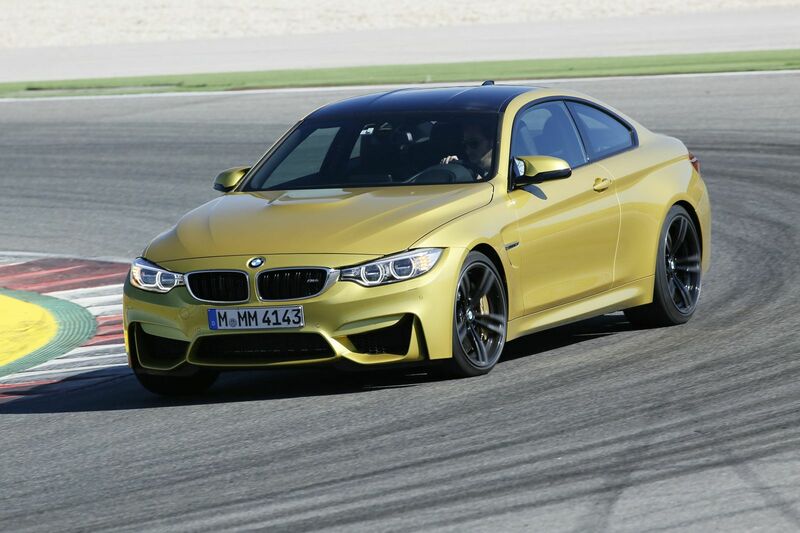 BMW calls this M4 color Austin Yellow. Joey Hand drives the new M4 better than the average journalist.